Bridesmaids, The Heat, Spy, and now Ghostbusters; Paul Feig has an obsession with Melissa McCarthy that can’t be healthy, especially to those who don’t find her funny in the slightest. But in case you don’t like Mike & Molly, the Ghostbusters female remake that no one asked for also features SNL comediennes like Wiig & McKinnon, with Cecily Strong waiting in the wings with a bit part. Don’t like modern SNL either? Well then you might be out of luck. This reboot relies very heavily on A) our love of the original series but 2) our ability to find these women & their styles of comedy to be hilarious. The resulting film isn’t abysmal, isn’t shocking, isn’t stupid, doesn’t warrant bigots taking shots at a perceived infringement on their sexist/racist territory. 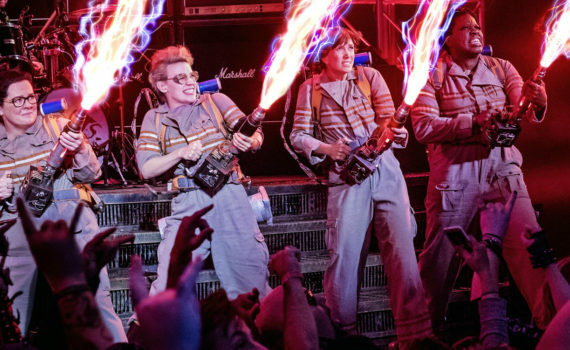 No, the worst thing that can be said about Ghostbusters is that it’s lame. Its jokes don’t work, its main characters aren’t consistently funny, and it has to bring in familiar faces for cameos far too often, showing a lack of confidence that is completely appropriate. Stuffy scientist Erin Gilbert has moved on past her younger, free-spirited days into the world of academia, where her former beliefs are shameful. See, Gilbert once wrote a book about the paranormal with her friend Abby Yates, who is still chasing down the dream of catching a real “live” ghost. Erin reluctantly teams up with Abby and a woman named Jillian Holtzmann to investigate a haunted mansion, which does turn out to be super haunted. Now filled with renewed vigor, Erin helps Abby & Jillian set up a paranormal activities task force called the Ghostbusters, a crew whose mission is to find a legitimate vapor, trap it, and prove to the world once & for all that ghosts do indeed exist. Adding the New York City-wise Patty and the dim-witted Kevin to their team, the Ghostbusters are now ready to take on a surge in activity caused by a lunatic who wants to open this world up to the undead, something that would be exactly as bad as it sounds. 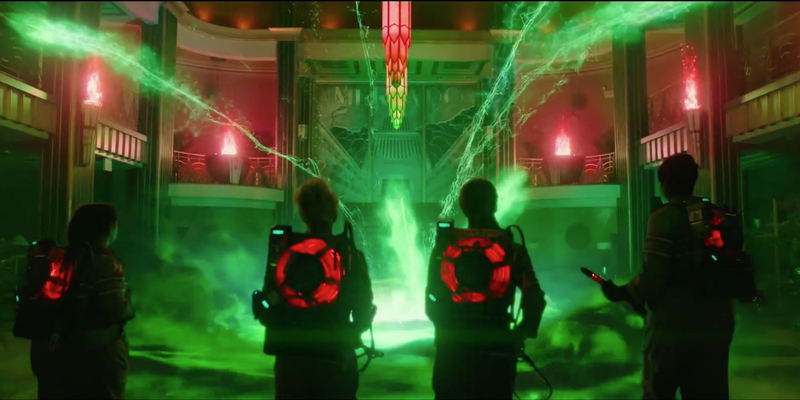 The esteem with which we hold the original Ghostbusters is the only thing keeping its copycat afloat. They even bring back the entire old squad in some way, showing an appreciation for the classic and perhaps some desperation to be accepted as a remake. Bill Murray as an expert in the paranormal, Dan Aykroyd as a taxi driver, Ernie Hudson as a mortician, and even the late Harold Ramis in bust form. Annie Potts & Sigourney Weaver pop up for a few seconds as well, a nod to the 80s, sure, but also a Sharknado-esque reliance on cameos to cover over a multitude of flaws and a storyboard that only fleshes out about half the movie. Zach Woods (Gabe from The Office), Ed Begley Jr, Karan Soni (the guy whose selfie got a hundred likes. A hundred! ), Chris Hemsworth, Pat Kiernan (World Series of Pop Culture), Ozzy Osbourne, Michael McDonald (Look what I can do! ), Michael Kenneth Williams, Matt Walsh, Andy Garcia, Al Roker; I assume every single Hollywood celebrity got an invitation to be in this film, these were just the few who accepted. Once you get past the homages and the cameos, you’re left with the comedic timing & choices of the writers and the feminine foursome in charge. I hate to break it to you, but they all fail in almost every way almost every time. I laughed at Zach Woods’ line about an Irish-proof fence and at Kristen Wiig’s awkward infatuation with the hunky Chris Hemsworth, but other than that the movie was a big dull dud. The jokes were lame and told lamely, Melissa McCarthy leading the charge of characters who weren’t funny AT ALL. You know how sometimes an SNL skit falls flat and you think, “well, it must have worked in rehearsal”? That’s the strongest feeling throughout Ghostbusters, as time after time the comedy only seems forced, never fresh. And I really enjoy Kristin Wiig, but far too often she was the straight man, and never brought the kind of talent we saw from her in both The Skeleton Twins and Welcome to Me. This was a comedy, no underlying message, I get that, but redoing everything from the original, bringing back all the talent, playing the theme song, making up a few dumb lines to bridge to the action; that’s not enough. Audiences want more, critics want more, just a touch of new material, a few brilliant moments, something. 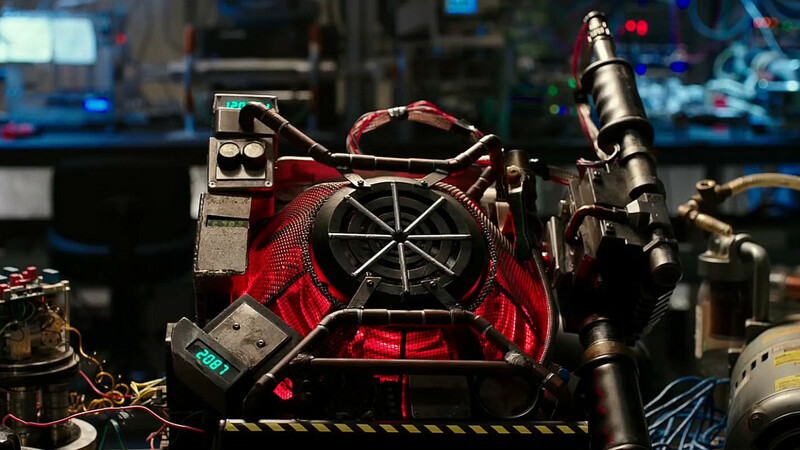 So, while Ghostbusters is nowhere near the complete bomb that many of us expected, it also never comes close to working, becoming just another inhumorous comedy whose true goal was probably money, not laughs.